Autoweek listed their fastest cars 0-60 mph. 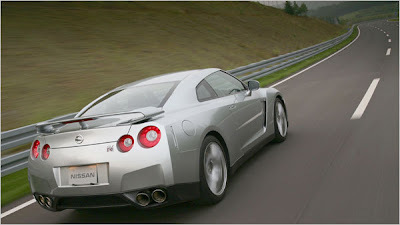 The Nissan GT-R came 3rd, tied for 3rd on the list at 3.4 seconds. Our take: The holy grail of power, the Veyron boasts more than 1,000 hp with four turbos. Our take: Soon to be released, the Superveloce promises to be the fastest bull ever. Our take: The GT-R is the least expensive on the list, making it the best bang-for-buck value. Our take: One of the fastest American production cars ever produced, the ZR1 is a deal even at $100K.